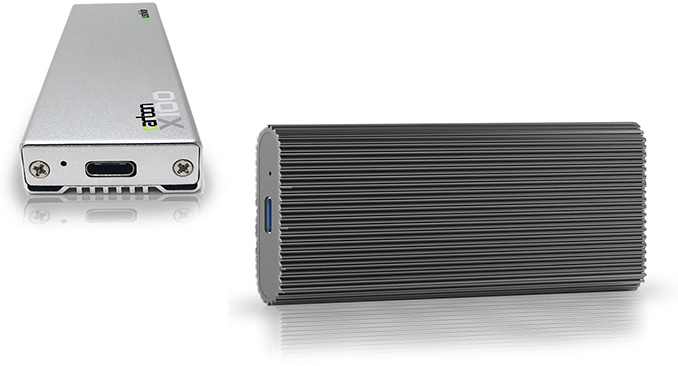 Mushkin introduced its new external SSDs featuring USB Type-C and Thunderbolt 3 interfaces and powered by desktop-class controllers. The Carbon X100 and the Carbon Z100 drives offer performance akin to that of internal SSDs and their sequential read and write speeds to some degree are limited by their interfaces. 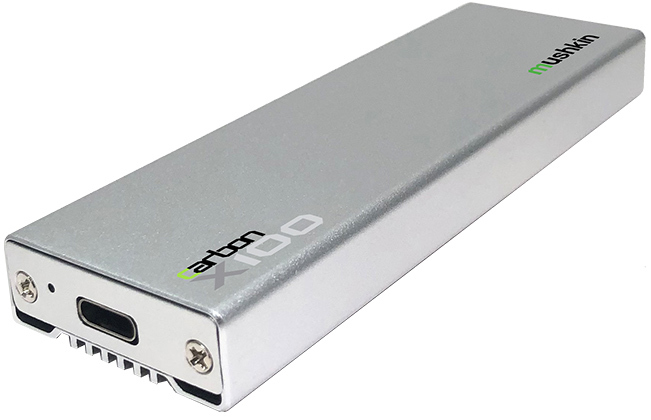 Both the Carbon X100 and the Carbon Z100 external drives essentially integrate a desktop-class SSD featuring 3D NAND memory and an appropriate interface controller — a USB 3.1 Gen 2 Type-C for the former as well as a Thunderbolt 3 for the latter. Meanwhile, Mushkin's new SSDs are considerably faster than the company's previous-generation external storage solutions. We are going to start with the value Carbon X100, which external design looks surprisingly similar to that of MyDigitalSSD’s M2X enclosure. The Mushkin Carbon X100 is based on Silicon Motion’s SM2263XT controller and is equipped with 500 GB or 1 TB of 3D TLC NAND memory (so, think about Mushkin’s Helix-L SSD inside the chassis). The manufacturer rates their sequential performance at 1000 MB/s both for reads and writes, whereas random speeds are quoted at 115K/88K IOPS for reads and writes. The drives use a USB 3.1 Gen 2 Type-C interface, which probably limits performance of the SSD. The Carbon X100 is still faster than all SATA 6 Gbps internal drives, yet its speeds are considerably slower than those of PCIe 3.0 x4-based solutions powered by the same controller. The Carbon X100 SSDs will be available in Q2 2019, but Mushkin does not specify MSRPs as they will depend on market price of 3D NAND memory. Moving on to the faster Mushkin Carbon Z100 SSDs positioned as extreme performance solutions for computers featuring Thunderbolt 3 ports. In fact, since the storage solutions use Intel's Alpine Ridge TB3 controllers, their compatibility with USB 3.1 Type-C computers is not guaranteed. 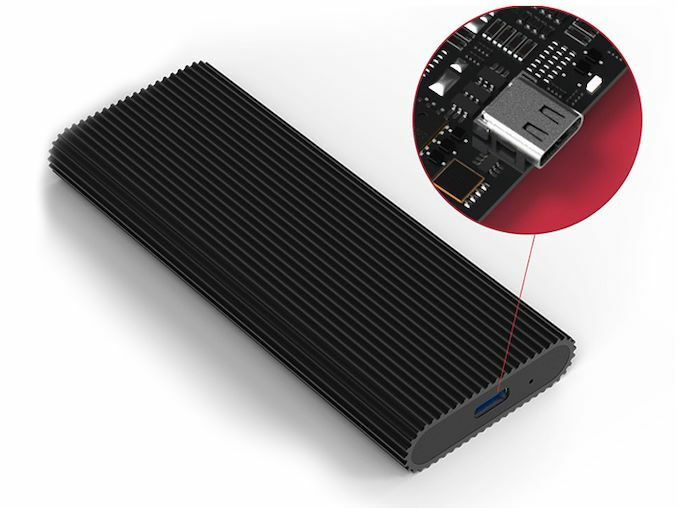 These drives use Silicon Motion’s top-of-the-range SM2262EN controllers as well as 250 GB – 2 TB of 64-layer 3D TLC NAND flash memory (perhaps, integrating Mushkin’s Pilot-E M.2 SSDs). The Carbon Z100 are rated for up to 2210 MB/s sequential read speed as well as up to 1355 MB/s sequential write speed, thus being significantly slower than the SM2262EN-powered Pilot-E. As for random performance, we are talking about 263K/180K read/write performance levels, which is quite fine for an external single-drive solution. Mushkin expects Z100 SSDs to hit the market sometimes in the second quarter (i.e., after the Pilot-E drive will be finalized and launched). Meanwhile, MSRPs are undecided since they will depend on price of 3D NAND memory. > their compatibility with USB 3.1 Type-C computers is not guaranteed.